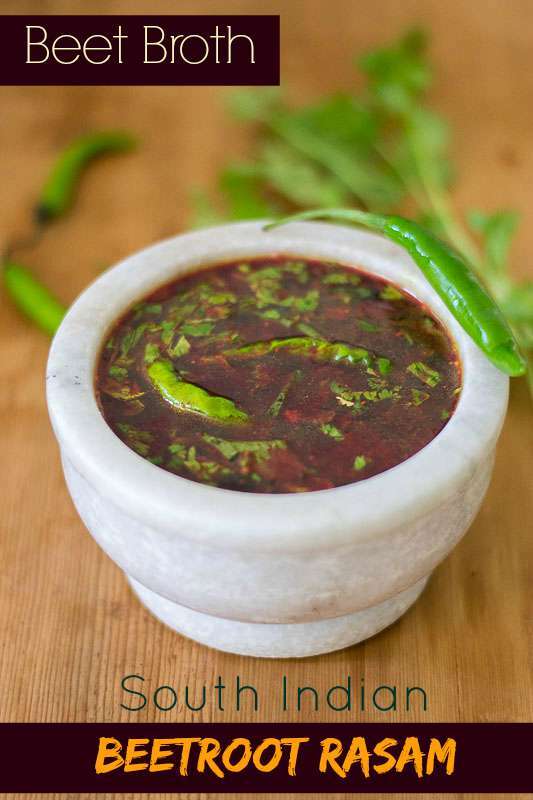 South Indian Beetroot Rasam Recipe. Easy Tamilnadu style recipe. Excellent home remedy for cold. With step by step pictures. 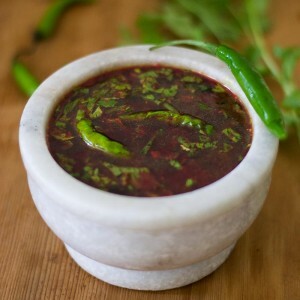 This is a very typical Tamilnadu rasam. Everyday in the south Indian household, when we steam vegetables in the cooker for poriyal (stir-fry), a little bit of cooking liquid – broth will be left behind. The broth will not be wasted but added to that days curry. But beetroot liquid cant be added as beetroot liquid is very strong on its own. Not to mention the strong color. So we make a rasam out of it. 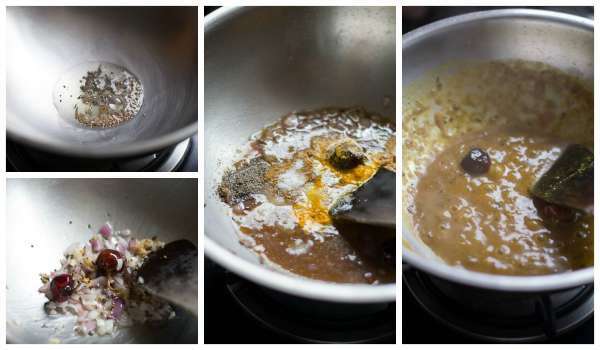 My friend Abirambika became such a fan of this recipe that I remember her every time I make it. Steam the beetroot in a cooker with little water and drain the broth. Set aside. Use the steamed beetroot to make poriyal. Here are the recipes you can make with the steamed Beetroot. Get the following powders ready. 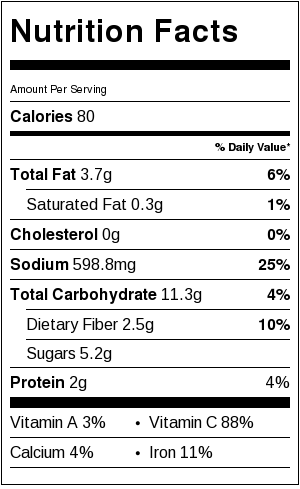 Soak half a lime size tamarind in a cup of water for 20 minutes. Squeeze and extract all the juices. Set aside. Heat oil in a pan. When the oil is hot, add in the mustard seeds and cumin seeds. Let it splutter. Add in the crushed garlic and the red chillies and fry for 30 seconds. Add in the chopped onions and fry till the onions are soft. Add in the Rasam masala powders, salt and the tamarind extract. Let it boil for 3 minutes. When the tamarind extract has cooked, add in the beetroot cooking liquid. Add in the curry leaves, coriander leaves and the green chillies. Let it briefly simmer for a minute. Do not cook for long after adding the beetroot liquid. South Indian Beetroot Rasam Recipe. Easy Tamilnadu style recipe. Excellent home remedy for cold. Steam the beetroot in a cooker and drain the broth. Set aside. 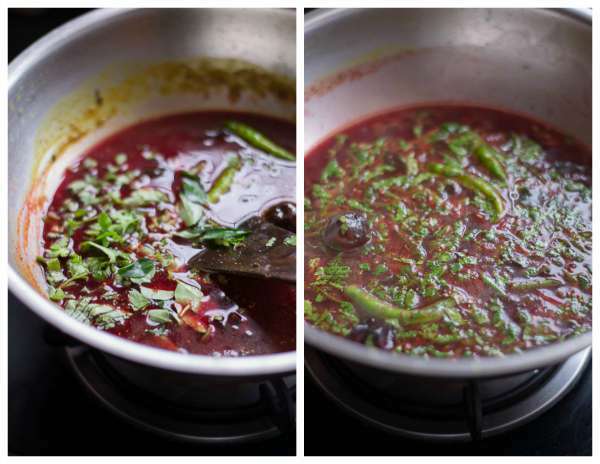 Use the steamed beetroot to make poriyal. Heat oil in a pan. When the oil is hot, add in the mustard seeds and cumin seeds. Let it splutter. Add in the crushed garlic and the red chillies and fry for 30 seconds. Add in the chopped onions and fry till the onions are soft. 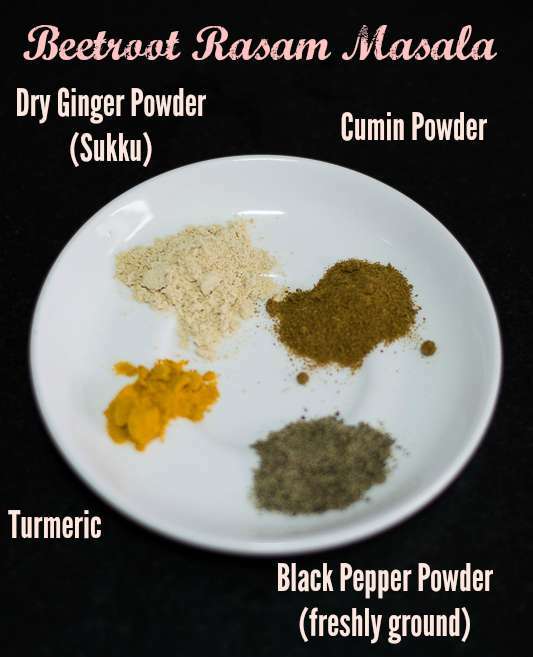 Add in the Rasam masala powders and the tamarind extract. Let it boil for 3 minutes. Just discovered your site. Thanks a ton for all these recipes. Q: Can I use grated ginger instead of ginger powder here? Sure Dev, you can do that too! One of my favorite rasam.. Everytime i read this my mouth waters. I can still remember the first time i had this at Sugunas house, literally the bowl was washed off by me and my husband Ravi. Lovely days! I am waiting to be back in India.